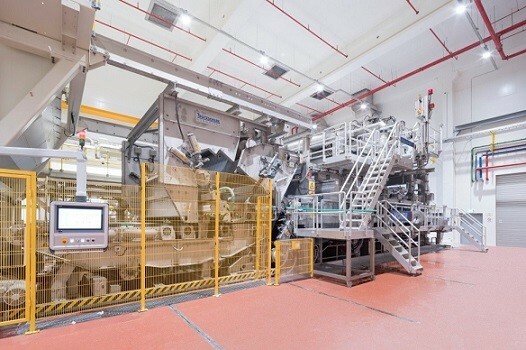 With its new nonwovens production line, Albaad, one of the world’s largest producers of cosmetic wipes, is banking on Trützschler Nonwovens and Voith, two well-established technology leaders in the field of wet-laid nonwovens. With their innovative WLS (wet-laid/spunlace) technology, Voith and Trützschler ensure flexible and efficient production of wet-laid and hydro-entangled nonwovens from 100 percent cellulose at Albaad’s new WLM1 production line. 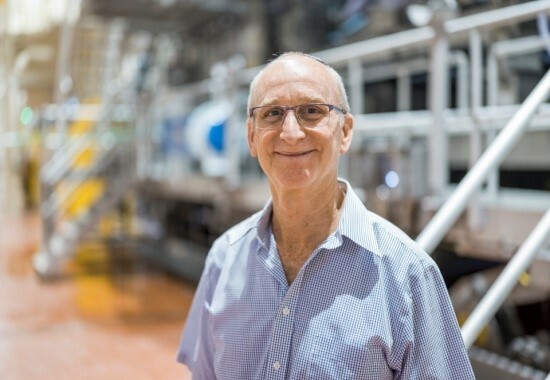 The client for the project in Dimona, Israel, is Albaad, one of the three largest manufacturers of wet wipes and feminine hygiene products in the world. For the wet-in-wet production of its nonwovens, Albaad uses exclusively fibers from cellulose. In the first step, web formation, a suspension highly diluted with water is produced and fed into the Voith HydroFormer. A homogeneous fiber mat forms on the inclined wire of the machine. In many respects, this process is similar to the manufacturing process of paper. 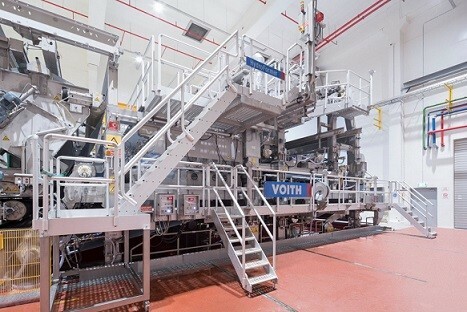 Voith has carried its extensive competence in paper machines over into the HydroFormer concept and thus makes it possible to produce high-quality nonwovens in this segment too. Voith and Trützschler Nonwovens collaborated once again to implement the project. Trützschler was largely responsible for the machines for web bonding and drying. The AquaJet technology is leading the world in the bonding of nonwovens. Directed high-pressure water jets interweave the individual fibers together solely through the momentum of the water. The material thus obtains a high tensile strength and the desired textile feel without the use of any binding agents or bi-component fibers. In Albaad’s WLS plant, Trützschler’s innovative high-performance Streamliner dryer carries out the bulk of the drying of the nonwoven material. The spiral dryer section significantly increases the air speed and thereby achieves optimal drying performance. With the second drying step comes another component of the system by Voith, the contactless MCB drying system. Its uniform and stable web run ensures the efficient residual drying of the nonwoven material. Moreover, Voith has equipped the WLM1 with a comprehensive process and quality control system. It monitors all the relevant parameters of production and thus reliably ensures a high product quality. The renewable raw material cellulose is very cost-effective and allows the manufacture of high-quality nonwovens with different characteristics. One special product segment is flushable wipes, which disintegrate very quickly in moving water but at the same time have a high strength when wet. Furthermore, these products are completely biodegradable. The hygiene products produced on the WLM1 are therefore perfect as moist toilet paper and can simply be flushed down the toilet. They thus make an important contribution to reducing blockages and faults in our waste water systems. Cellulose-based hygiene products are considerably more environmentally-friendly than those made from oil-based raw materials and ensure that our seas become less polluted with plastic waste. The second raw material needed for production, water, is also used in an environmentally-compatible manner through the wet-in-wet technology. In a circuit, a filter system treats the white water from the HydroFormer and AquaJet and returns it to the manufacturing process.